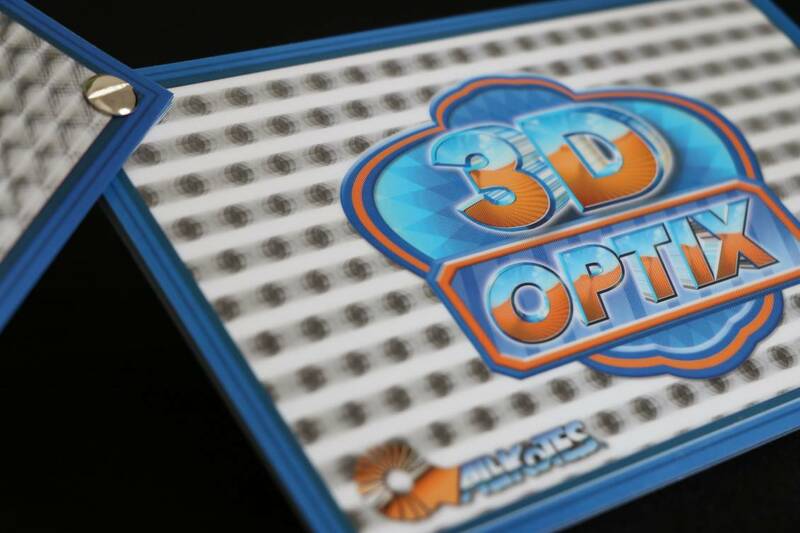 The latest advancement in 3D technology has landed down under and your Allkotes team is super excited for you to cast your eyes over Allkotes 3D Optix. Our latest innovation in 3D capabilities only compliments our previous and still available 3D technology. 3D Optix visually stunning patented lens technology is here to deliver with a real punch!! 3D Optix is the first of its kind to be on offer to the Australian market, so the time is now for exploring new market opportunities. The idea of 3D Optix is to engage your creative skills by combining a shape or pattern into the background of your design coupled with the power of print onto a paper substrate using conventional printing methods. Get set to be amazed as our 3D Optix creates a real eye-catching illusion. Trust us when we tell you, that you would not have seen anything like this before on an offset printed sheet!!! It doesn’t stop there, 3D Optix has the unique ability to shift colour or flip from colour to colour in selected areas. Watch as your printed colour changes from blue to red or black to white. It’s as easy as changing your viewing angle or flipping your printed piece to see 3D Optix transform right before your eyes. Our very own 3D creative is standing by to help you with the artwork preparation, so don’t panic your Allkotes team has you covered. As an added service, and for a small cost, we can provide a GIF of your design with 3D Optix. This clever visual animation allows you to see and appreciate how your finished product will be seen. 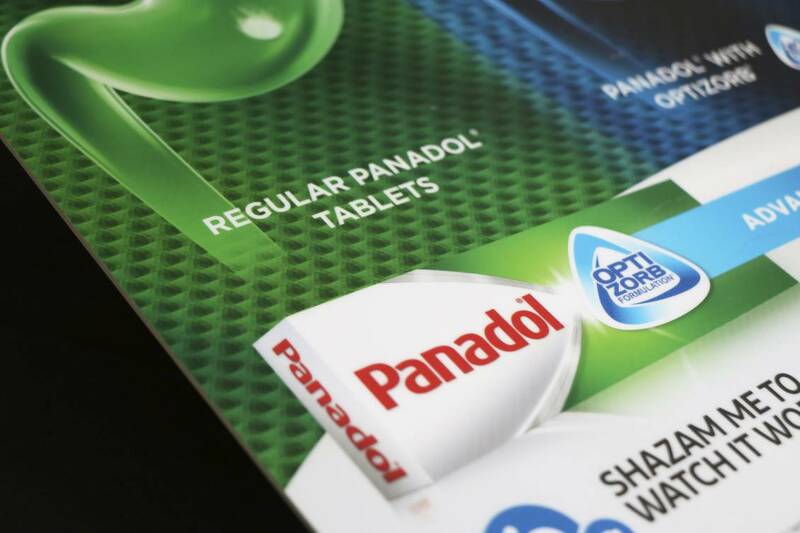 3D Optix is a no brainer when it comes your next poster, POS piece, Header Card, DLX promo card, etc… We have also seen some amazing results with wine labels and FMCG brands using this technology. So, remember to talk to us at the concept stage, it’s important that we work together in achieving the best result. If you would like to learn or see more about 3D Optix, or should you like to see our swatch book contact Darren Delaney on 02 9648 2022 or darren@allkotes.com.au. The key to this product is we are adapting a shape or pattern into the printed background providing an amazing visual depth perspective. 3D Optix can be adapted to various forms of POS, wobblers, posters, strutted material, DM pieces, counter mats, book marks and gift cards. 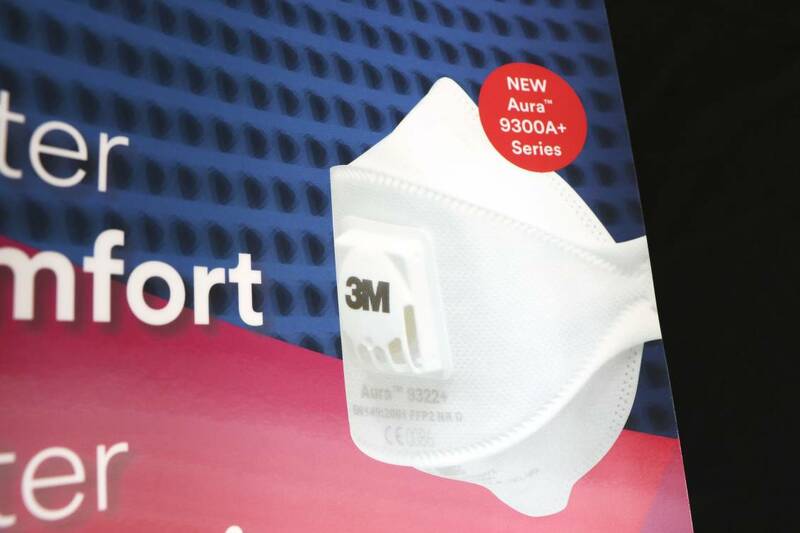 Based on conventional printing and a paper substrate 3D Optix is unique in its characteristics. 3D Optix does require artwork to be set up in the correct format so let your Allkotes team assist with your next 3D job. At this stage digital printing does not have the resolution required to achieve a 3D result. We hope that within time that we can offer 3D Optix to all forms of printing. Don’t confuse 3D with lenticular as they are totally different, lenticular allows an image to shift or change our 3D Optix provides a pattern or shape creating the mystique of depth.